Four years after launching as an exclusively business-class boutique airline with flights between New York and Paris, La Compagnie has announced the launch of a new seasonal route between New York and Nice with the first direct flight scheduled for Sunday, May 5, 2019. This announcement comes as the latest in a series of positive developments for the airline, who is awaiting the delivery of its first Airbus A321neo in April 2019. 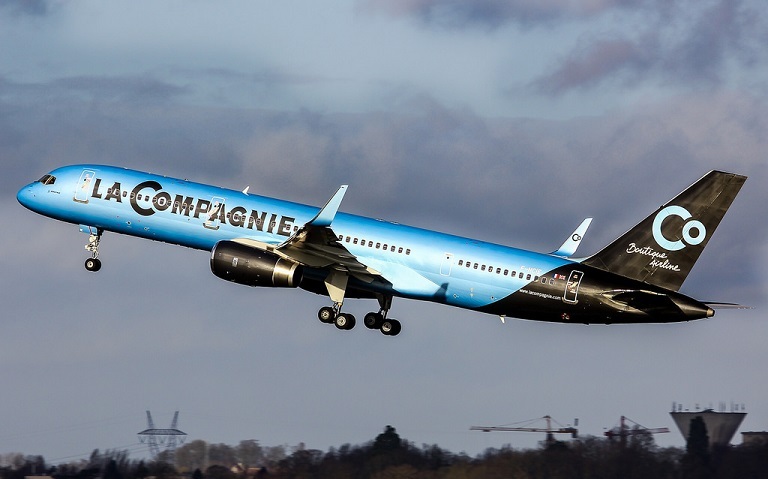 With the arrival of the new plane, La Compagnie will grow its fleet to three aircrafts, further allowing the airline to develop its offer with a new trans-Altantic flight and direct access to the South of France during prime season. As with all La Compagnie flights, passengers will be welcomed with lounge and priority access for a painless and exclusive pre-flight experience. Onboard the Boeing 757, guests will enjoy reclining lie flat beds, refreshing amenity kits with Caudalie skincare products, personal iPads, a seasonally-curated menu by Michelin-starred Chef Christophe Langrée, a selective list of French wines and champagne and artisanal croissants by famous French bakery, Maison Kayser.